And why not? College is the time for experimentation. Some of my peers dabbled in mind-altering substances. 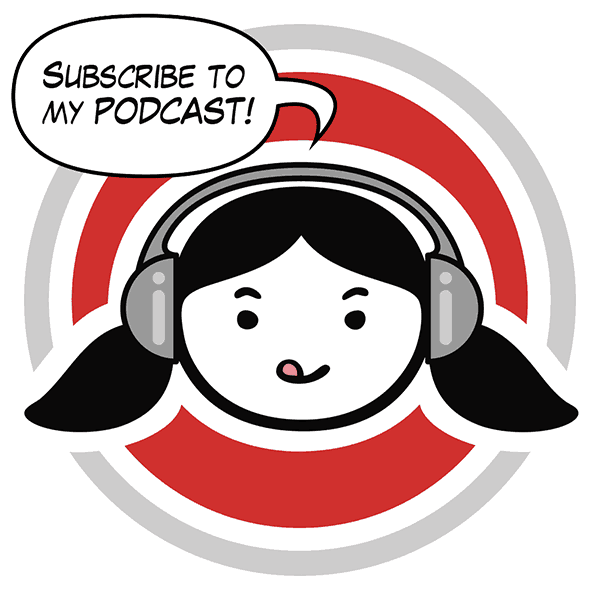 Others explored alternative cultures, music, religions, sexual identities, and politics. Some took off all their clothes and strolled around campus naked. Me? I was just there for the food. I’d never tried African cuisine before college. But not long after my newly-laminated student ID was in my wallet, one of my friends—an oh-so-worldly sophomore—invited me to dinner at The Blue Nile, a now defunct Berkeley institution (right next to People’s Park!) that served up rich, spicy Ethiopian stews and a sweet honey wine called tej. There, in the restaurant’s dark and cozy dining room, I was introduced to a multitude of fragrant, assertively spiced dishes, from yebeg alicha (a hearty lamb stew) to siga tibs (beef sautéed with onions and tongue-tingling spices). 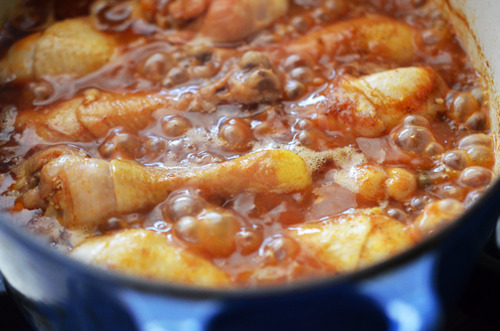 These long-simmered stews came served atop a thin layer of soft injera bread. 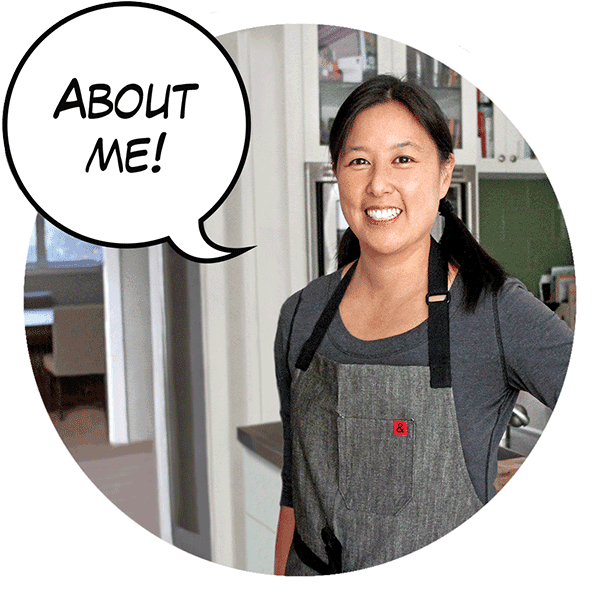 My friend showed me how to tear off bite-size pieces of the spongy, sour bread and use them to scoop the stews into my mouth. Everything was lip-smackingly delicious. I was hooked on Ethiopian food. After that, I made a point of seeking out Ethiopian and Eritrean joints. 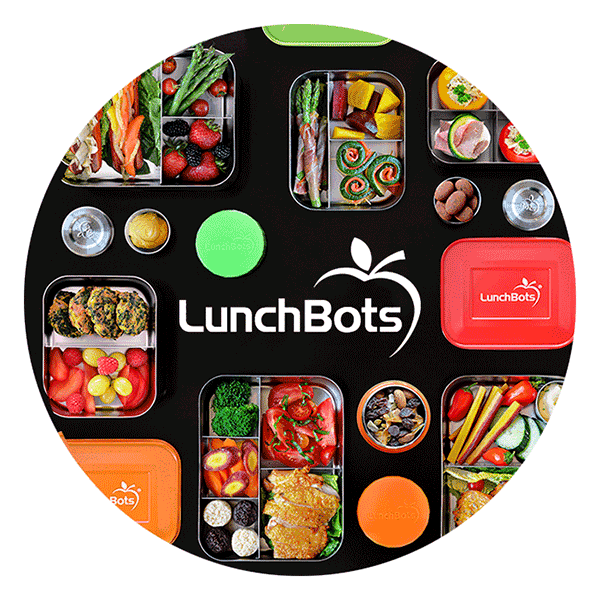 Wherever I happened to be—from Berkeley to Harlem, San Francisco to Boston—I’d make sure I wound up seated before a wicker mesob, hungrily tearing into a platter of slow-cooked meats, vegetables, and lentils. 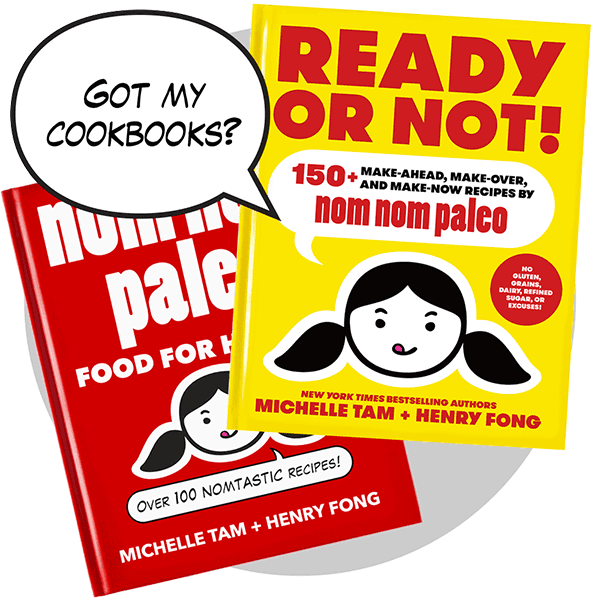 Henry never really understood my all-consuming obsession with this cuisine. The glacially slow service at my favorite Ethiopian restaurants in San Francisco always drove my impatient husband nuts. Still, when prodded, even he would admit that the dishes are worth the long wait. 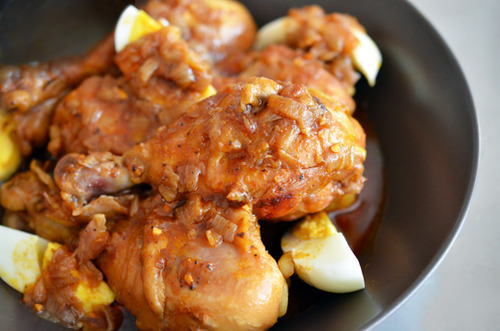 We both especially love doro wat—a slow-simmered spicy stew with fork-tender pieces of fall-off-the-bone chicken meat. 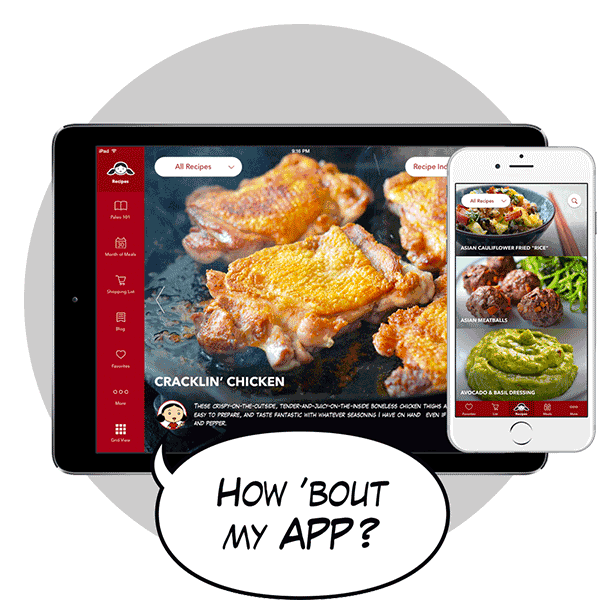 Sadly, most Ethiopian restaurants only serve one or two chicken drumsticks with each order. 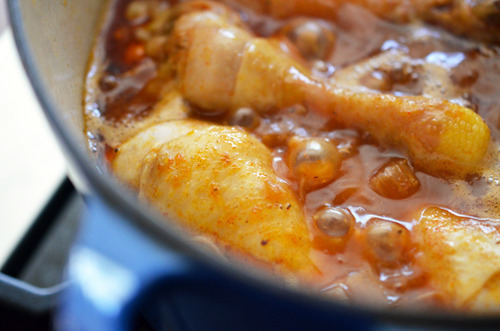 That’s one reason I decided to create my own Paleo-friendly doro wat recipe: I wanted to load up this fiery stew with as much chicken-y goodness as possible. 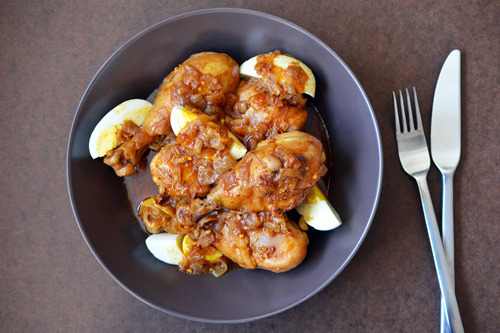 Doro wat is a traditional Ethiopian stew of chicken, eggs, and onions seasoned with a blend of ginger, garlic, and spices—and specifically, berbere seasoning. 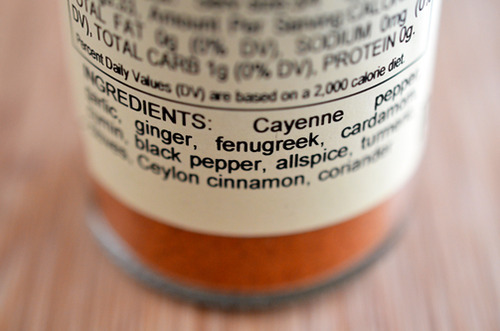 Berbere,which literally means “spicy” in Amharic, is a mouth-scorching mix of chili peppers, ginger, coriander, fenugreek, cardamom, cinnamon, and other spices, and it’s absolutely critical to this dish. 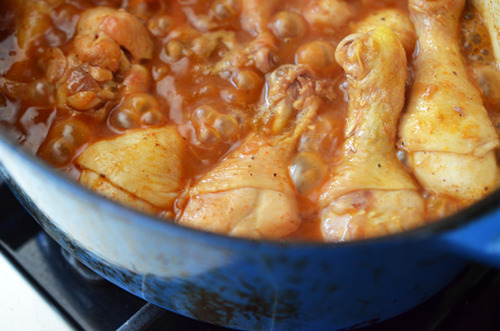 Trust me: you can’t make a good, authentic doro wat without berbere. 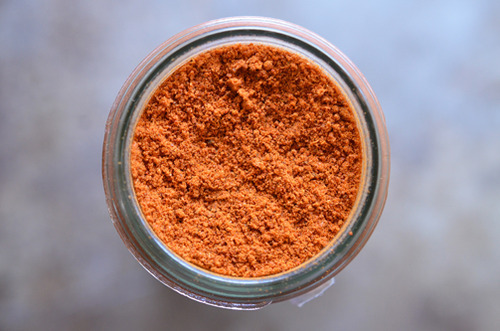 You can make a batch of berbere yourself (Saveur has a recipe here), or you can buy some from your friendly neighborhood spice purveyor. 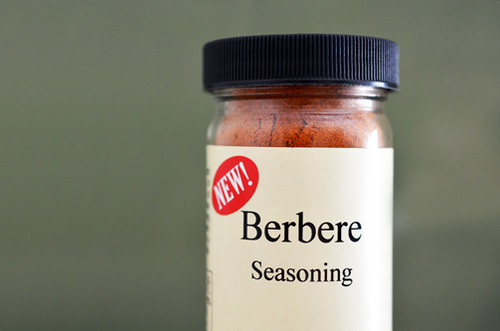 I was too lazy to whip up my own, but luckily, berbere is now available at Penzeys Spices! 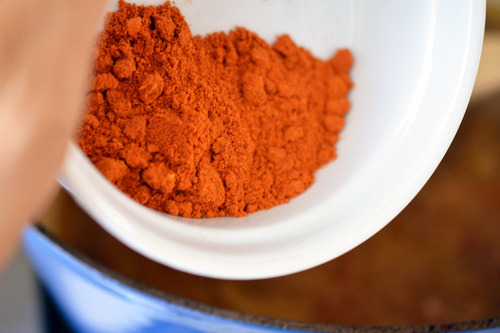 Once you have some berbere at the ready, doro wat is a cinch to make. This long-simmered stew takes a bit of time and patience, but the steps are easy, and the recipe is foolproof. 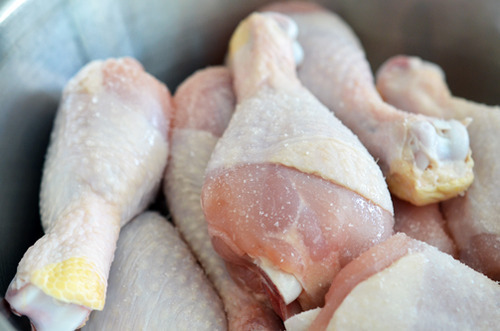 Thoroughly season the drumsticks with salt, and set aside. Heat the ghee in a large Dutch oven over medium heat. 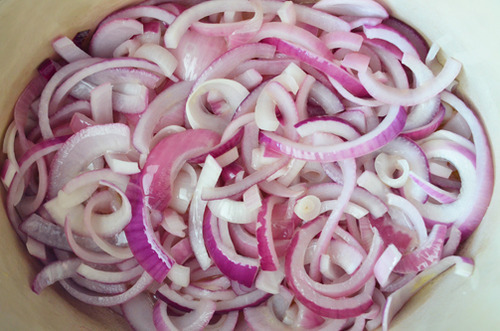 Add the sliced onions, and let them cook undisturbed for 1 to 2 minutes. 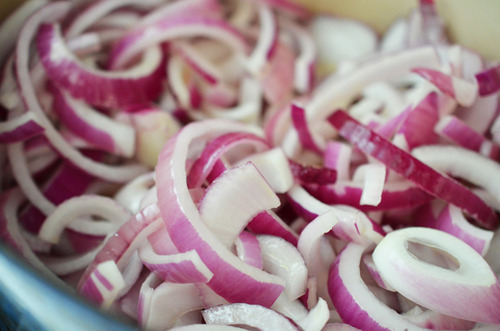 Season liberally with salt, and gently turn over the pile of onions every 3 to 4 minutes to ensure even cooking. Continue cooking, turning over the onion pile every 10 minutes or so, for 30 to 40 minutes or until golden brown and nicely caramelized. 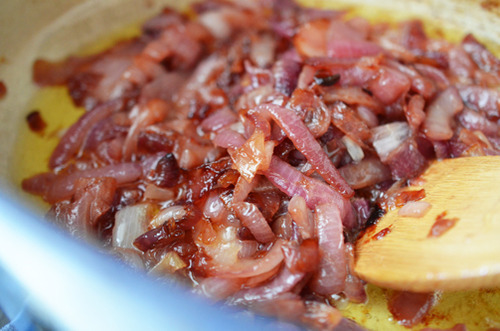 The goal is to get the onions meltingly tender and sweet—and to do it right, this will take time. 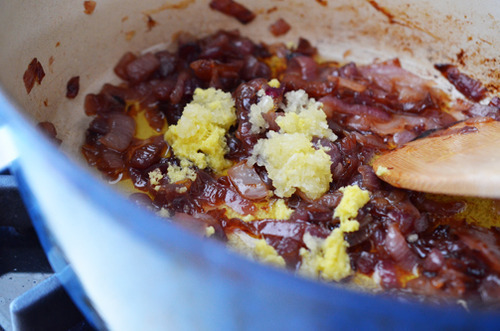 You know how some recipes call for cooking onions “5 minutes until caramelized”? That’s a low-down dirty lie. 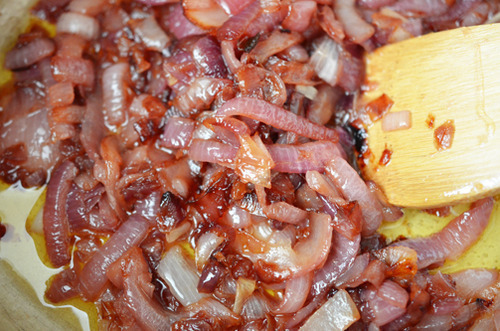 To properly caramelize onions, you’ll want to set aside the better part of an hour or more. 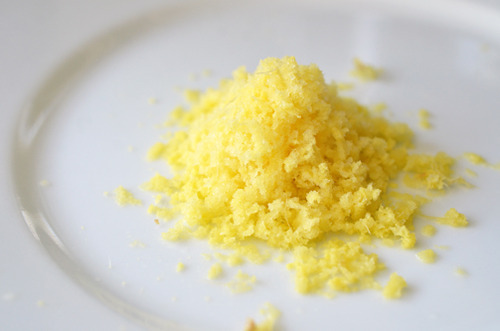 If you haven’t already minced your garlic and grated your ginger, do it already. By the way, you should always keep fresh ginger root in your freezer. 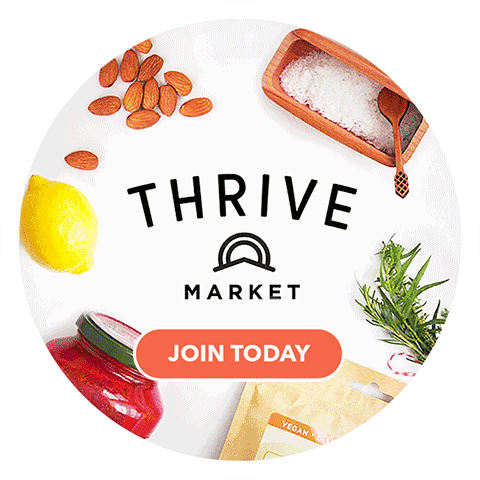 When you’re ready to use it, you can simply break off a knob, peel off some skin, and grate it with a rasp grater like a Microplane. 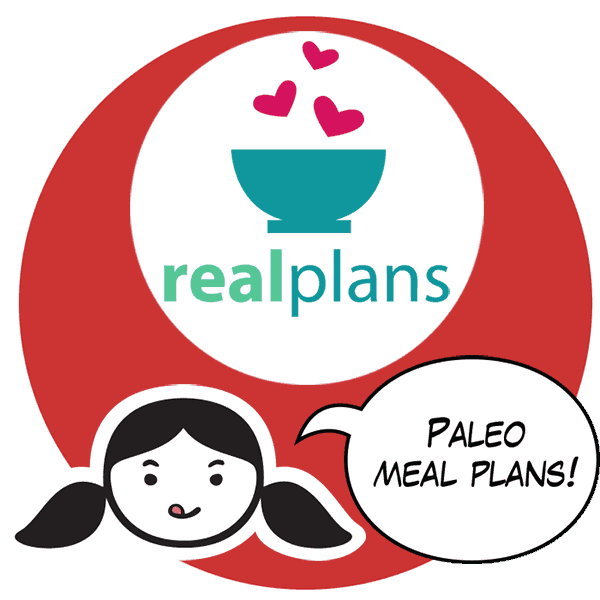 Plus, it lasts forever in the freezer. 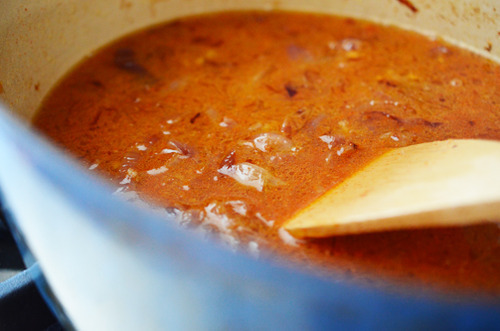 Stir the garlic and ginger into the caramelized onions, and cook until fragrant, about 30 seconds. Add the berbere, cardamom, and black pepper. 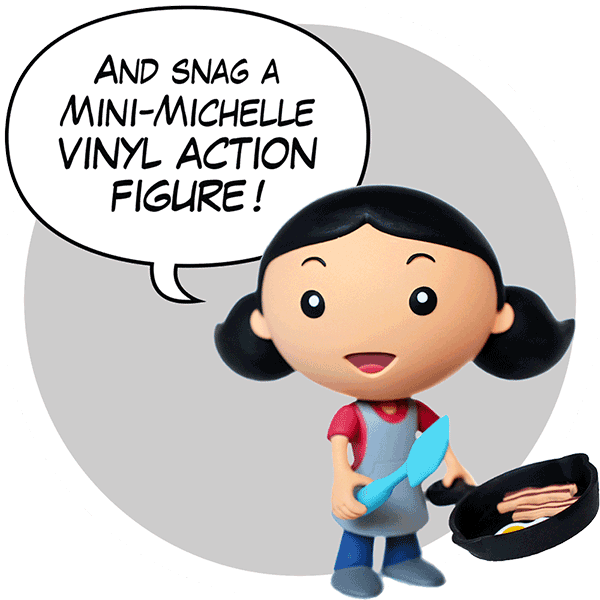 ..and stir to mix well. 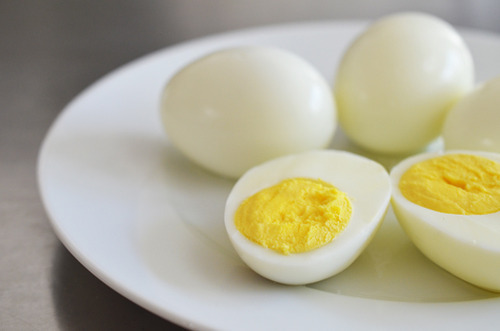 In the meantime, make and peel 4 hard-boiled eggs. People: I hope you’re not just dumping a bunch of eggs into boiling water and(over)cooking them until stinky gray-green rings form around the dried, powdery yolks. That’s no way to treat your eggs. 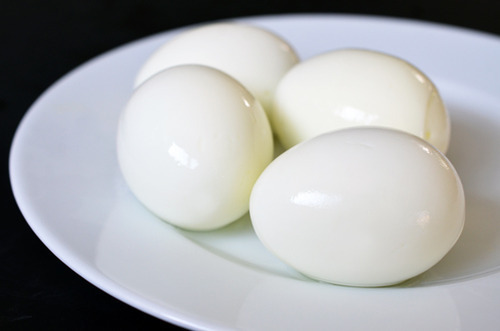 Instead, read my instructions on how to make Perfect Hard-Boiled Eggs. 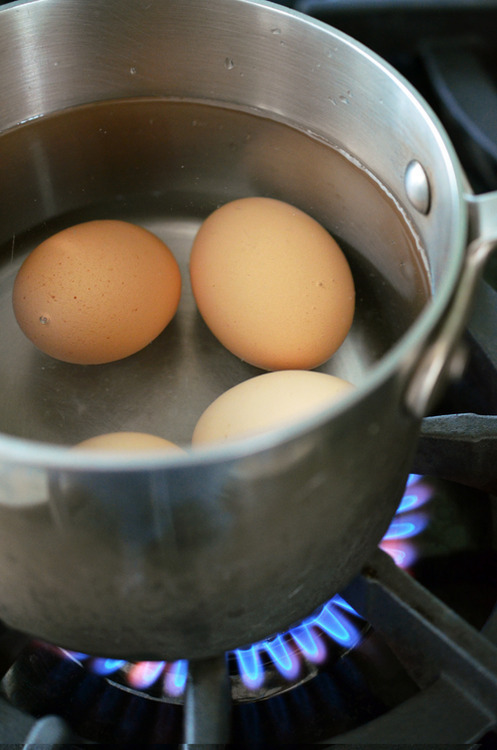 Follow my tips, and your eggs will be a breeze to peel, and the yolks will be perfectly cooked. 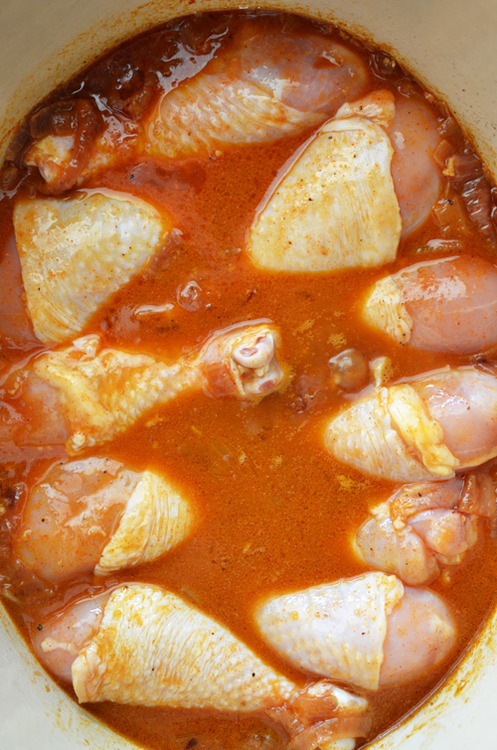 Once the chicken’s done, remove the lid of the Dutch oven and turn the heat up to medium-high. Cook for 5 to 10 minutes until the liquid is reduced by approximately one-third. If you’re adding lime juice, do it now. 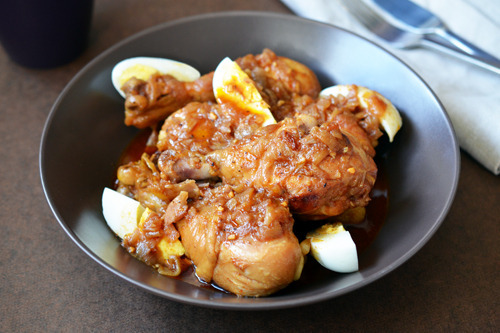 The citrusy zing adds a nice, zesty brightness to this long-simmered dish. 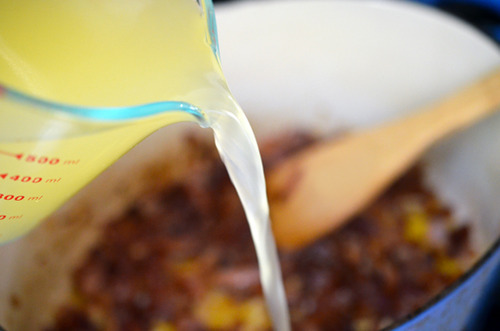 Your kitchen should be smelling pretty awesome right about now. 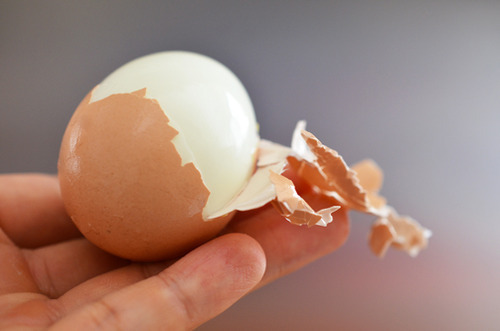 Cut the hard-boiled eggs into wedges. 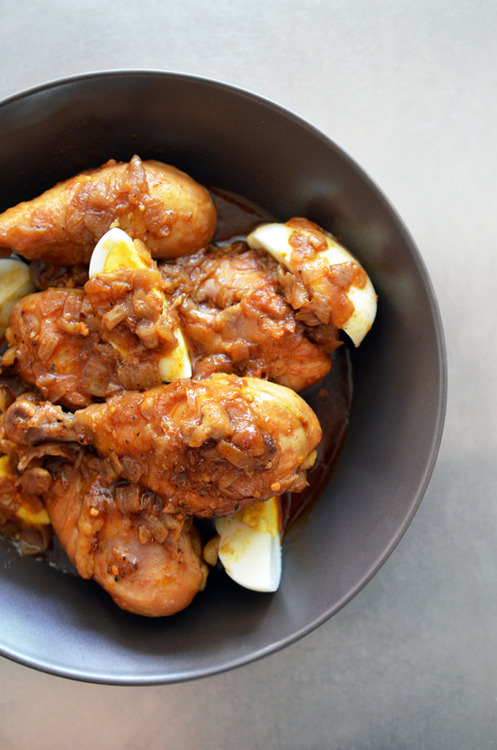 Transfer the chicken drumsticks to a serving platter, garnish with the egg wedges, and ladle the spicy sauce on top. Who says you need a layer of soggy injera bread to eat the stew? 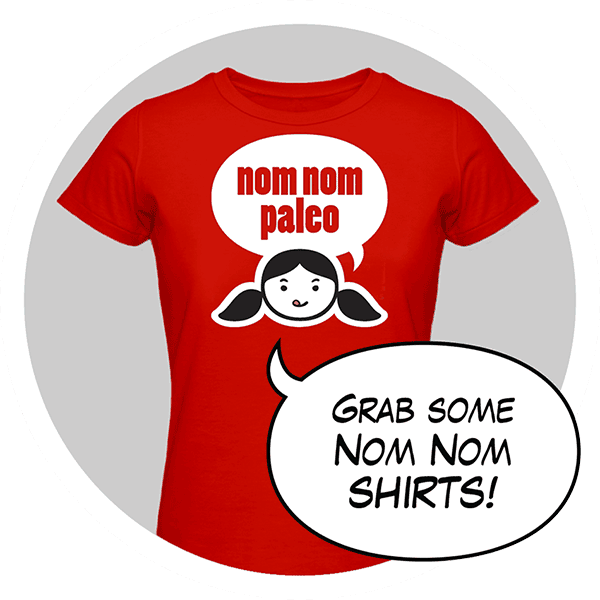 Use a FORK. Pro tip: before digging in, make sure you have a nice, tall glass of ice water ready. 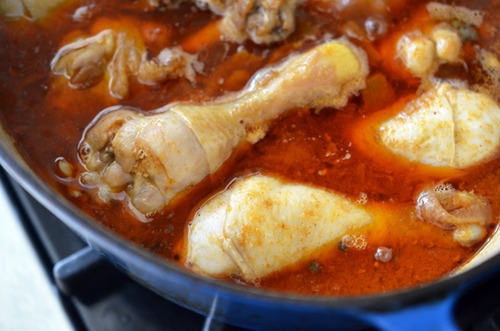 Depending on your heat tolerance (and the amount of berbere you added to your stew), you may need to call the fire department to put out the blaze in your mouth. I haven’t been out for an Ethiopian meal in a long time—mostly because the injera bread in most restaurants are made with all-purpose flour instead of just gluten-free teff flour. 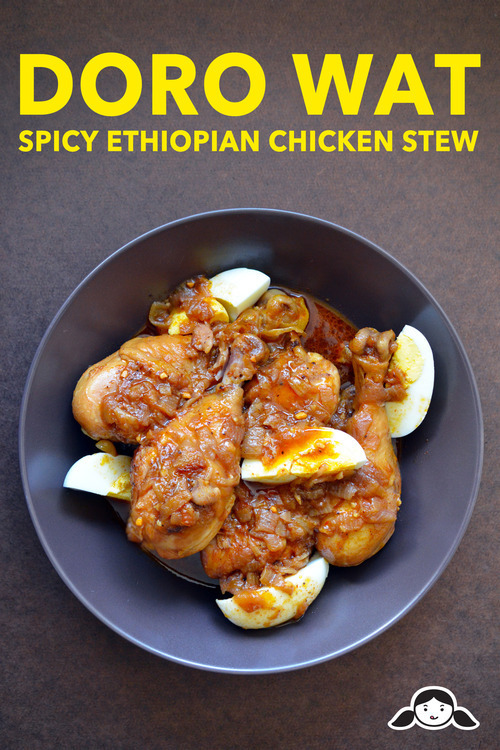 But after all these years, I still can’t get enough of the hearty, slow-cooked stews of Ethiopia and Eritrea. 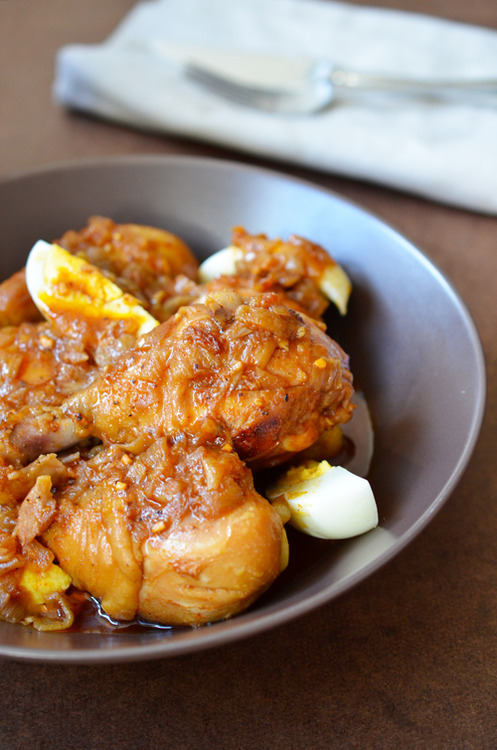 If you’ve never tried doro wat, give it a shot. I have a feeling you’ll fall head over heels, too.